A report commissioned by the UK Home Office has recommended that international student numbers not be excluded from migration reduction targets, though has called for post-study work visas to be more easily attainable for international students. The report is likely to shape government policy, but critics say the migration cap inclusion will discourage talented international students. UUK President Janet Beer criticised the advice that international students remain in migration cap figures, arguing that the practice results in “a continued pressure to reduce [international student] numbers”, which therefore “adds to the perception that they are not welcome here”. The migration cap inclusion could also exacerbate a lack of certainty for EU students’ visa statuses post-Brexit. Under current visa regulations, international students may be eligible to stay in the UK to work provided that they meet earning thresholds, move into work within the mandatory time limits, and receive sponsorship from a licensed Home Office employer. In 2011, then-Home Secretary Theresa May announced the end of the government’s ‘post study work route’, which had allowed students to seek employment for up to two years after graduating from a UK university. 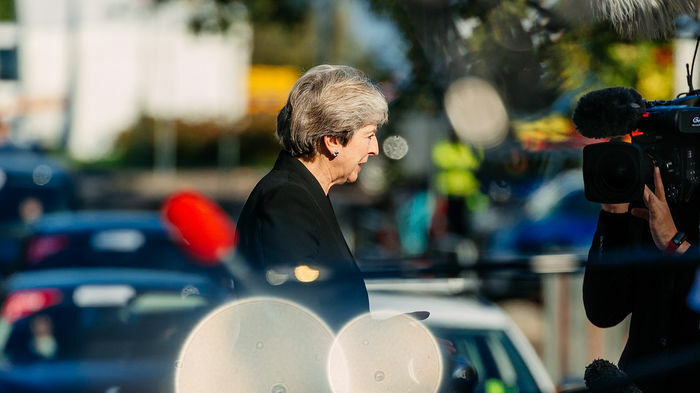 May argued that the move was part of a necessary curtailing of visa fraud, where international students used student visas as a back-door means to permanently migrate to the UK. However, Universities UK has disputed this claim, and have argued that almost all international students comply with visa restrictions. Statistics published by the University of Cambridge’s Planning and Resource Allocation Office recorded that there were 1,653 non-UK undergraduates at Cambridge last year and 3,736 non-UK postgraduates. Want to join Varsity's news team? The study, produced by the independent Migration Advisory Committee, rejected calls from the university sector and university advocacy group Universities UK (UUK) for overseas students to be excluded from the government’s net migration target figure of below 100,000, arguing that there was no “practical way” for students to be excluded from this target. However, the committee did recommend that post-study work visas be made more easily attainable for international students, falling in line with pressure from UK universities – and Universities Minister Sam Gyimah MP – that the government must take a more welcoming approach to overseas students. The committee’s report has called for PhD students to be automatically eligible to work in the UK for one year after completing their studies and for masters students to be permitted to work for 6 months – an extension from the previous 4-month figure – but has fallen short of calling for the automatic right to work for two years after an undergraduate degree, a policy which was scrapped in 2012. The report follows demands earlier this week from higher education advocacy group UUK that two-year UK work visas be made more easily available to international students, in an effort by the university sector to maintain the UK’s position as a competitive destination for overseas students.